The Gallery at Porter Mill is pleased to announce it's latest Exhibition, “Confluence IV,” featuring artwork by resident artist Jessica Hartley. Her work will be on display through November 1st, with an opening reception on October 2nd from 5 - 8 PM. The reception will open to the public and will feature a live DJ, as well as a performance by Sea Change Theatre Co. Guests are also invited to tour the art studios at Porter Mill during this event. Porter Mill is located at 95 Rantoul St, Beverly MA. Jess Hartley is a young abstract artist from Boston, MA who has received many distinctions for her artwork. Her paintings are treasured in numerous private collections, including Tsvetaeva Museum's permanent collection. She has recently returned to her hometown to focus on studio art after living in the Middle East, NYC and traveling overseas. Her travels and experiences have translated in to new and exciting paintings that she is thrilled to share. Ms. Hartley's otherworldly paintings become gateways to enlightenment and celebrations of the inward journey of thoughtful introspection. Her thought-provoking canvases strike emotions buried deep within the psyche, stirring the soul and uplifting the spirit. Her energetic panels break free of the boundaries of their two-dimensional planes and confront the viewer with bold colors, expressive paint application, and incredibly dynamic shapes. 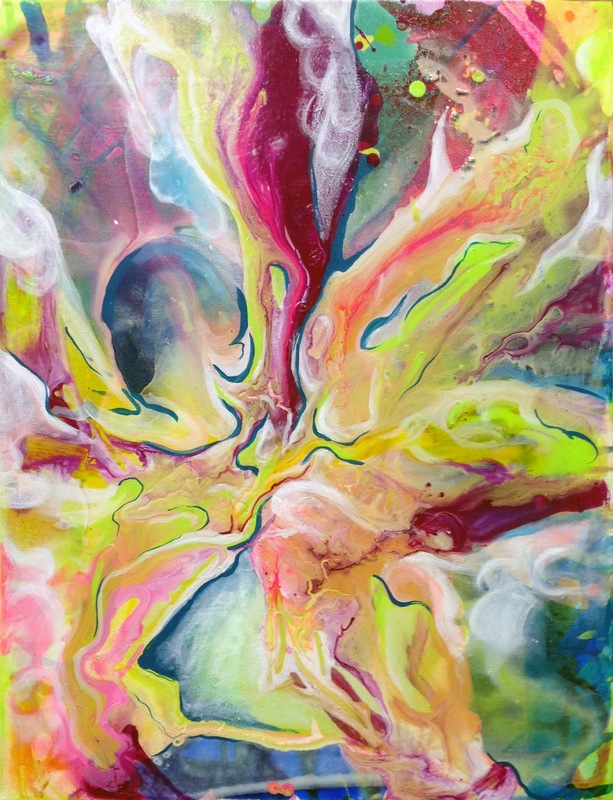 Ms. Hartley’s kaleidoscopic paintings boast of the artist’s mastery over medium and color palette as her broad poured color fields combine with strategic brush strokes to communicate sentiments and ideas. For More information about the Gallery at Porter Mill, please visit www.PorterMill.com. Fore more info about Jess Hartley and her artwork, visit www.jesshartleyart.com.